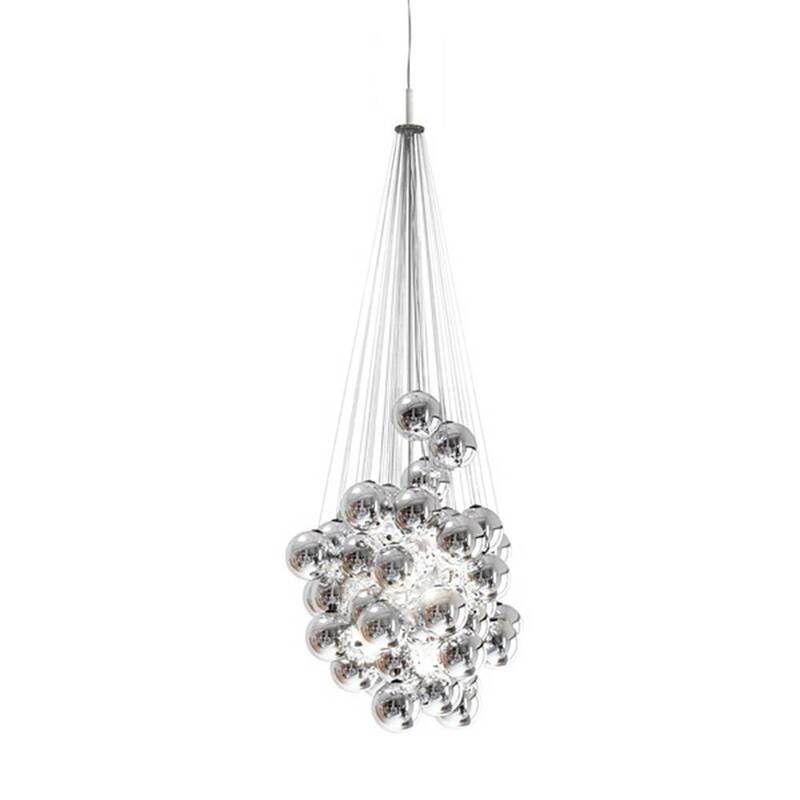 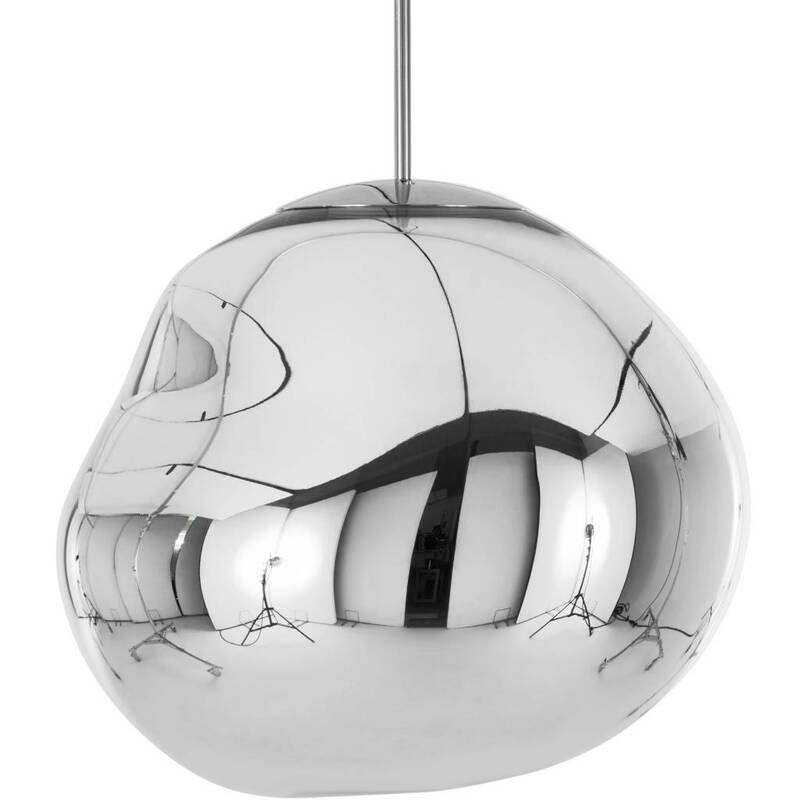 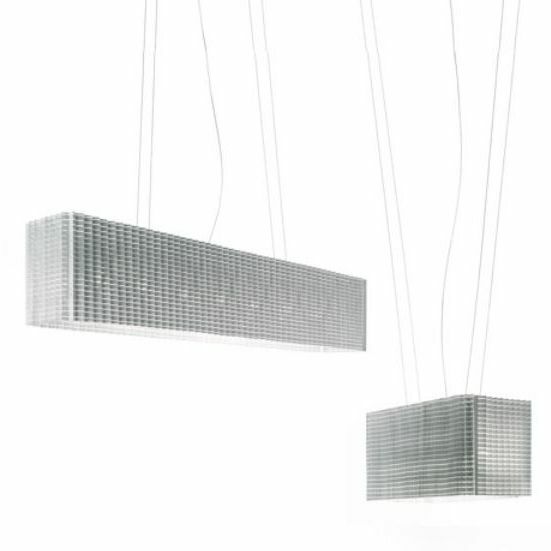 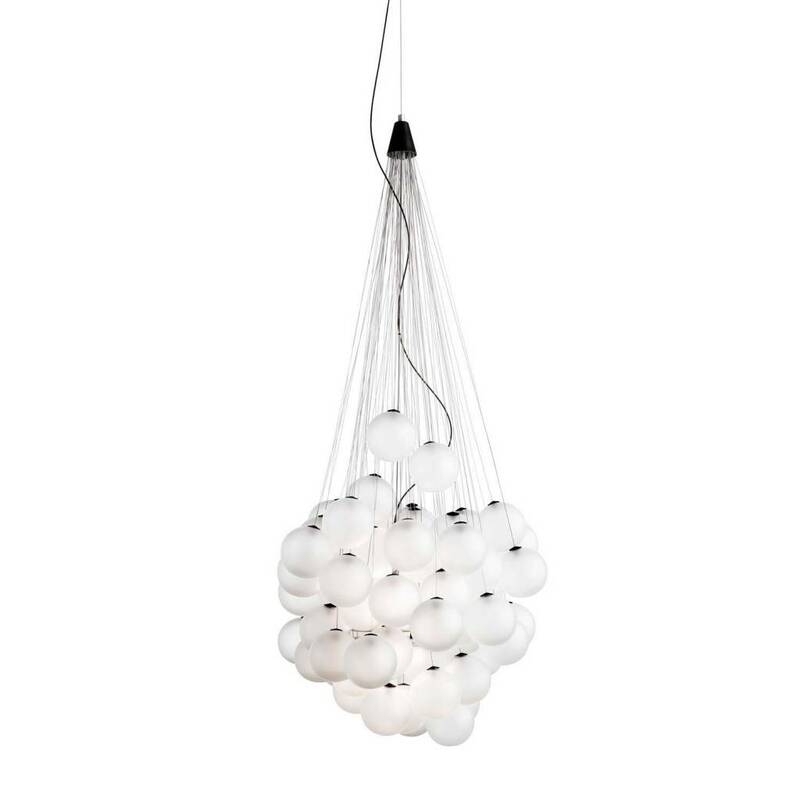 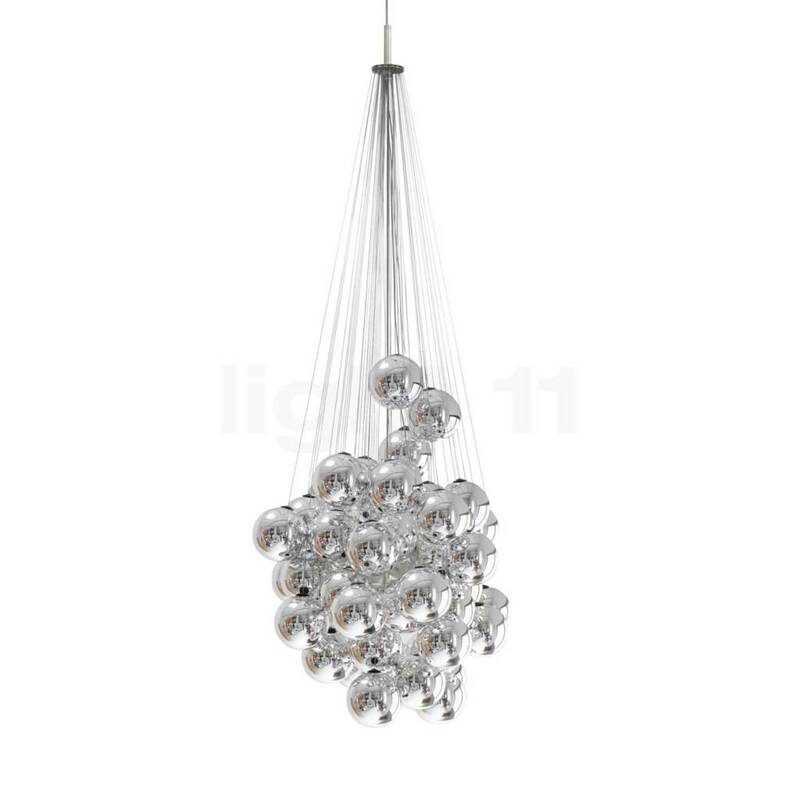 Composed of glass spheres at different heights, the lamp permits infinite combinations, in a sort of “controlled freedom”: each sphere is connected to steel rods of different lengths, which are attached to the ceiling in a creative way, giving rise to always different light clusters. 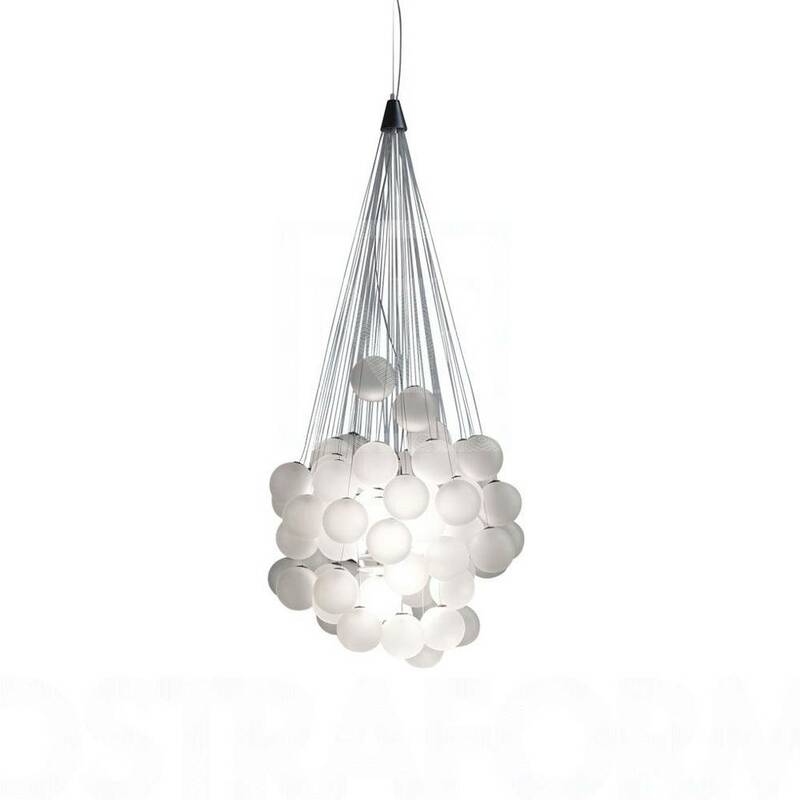 Hence the name Stochastic, indicating a random process, in reference to the different possibilities for combining the spheres in unexpected ways, each time leading to a different lamp, a one-of-a-kind creation. 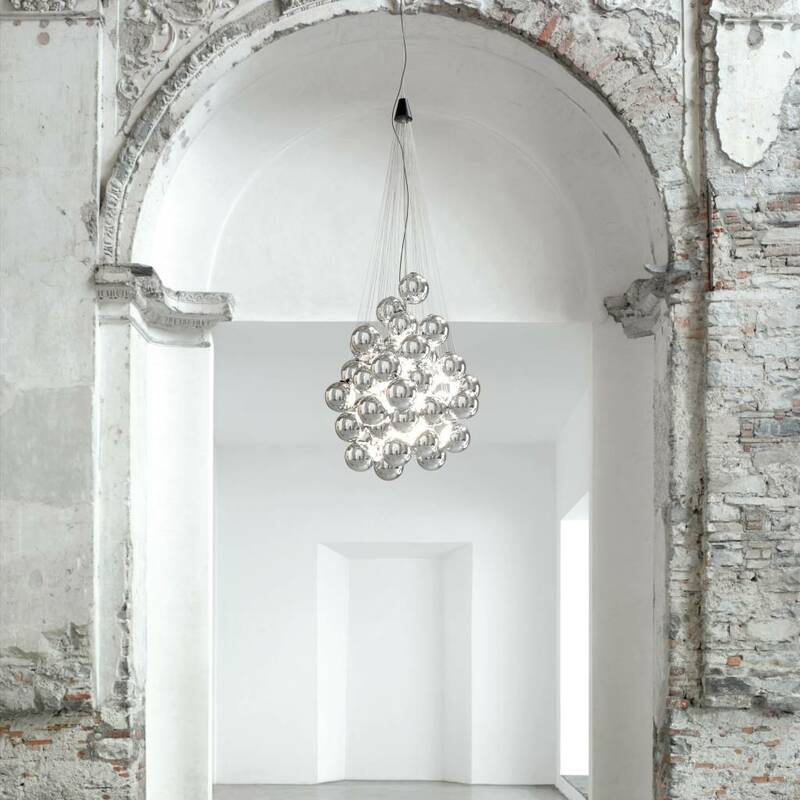 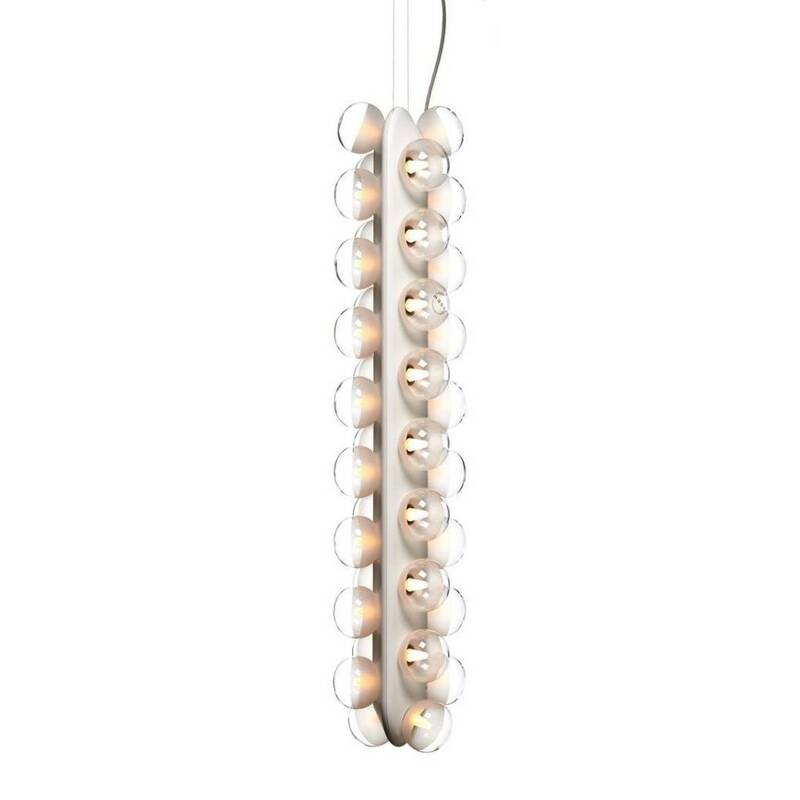 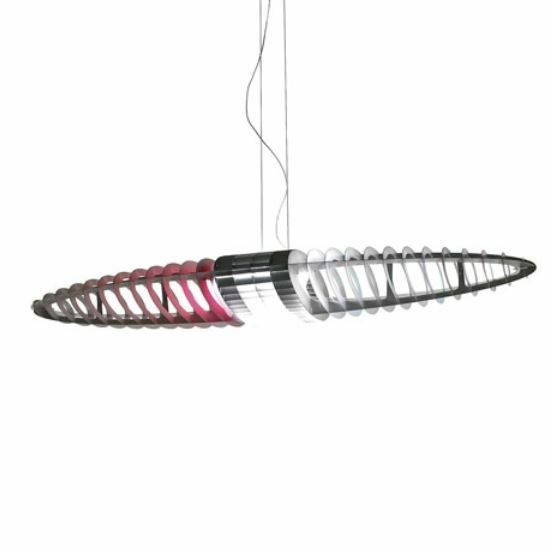 A game of imagination whose light source – a double high-efficiency LED module – is enclosed within the spheres, generating warm, diffused indirect lighting, aimed both upward and downward.